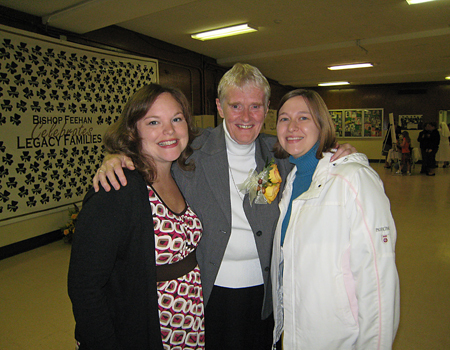 Yesterday I went to Sr. Pat’s 50th jubilee celebration mass. It was at my old High School. Going back there was weird especially after so long and also with all the planning that has been happening with the 15 year reunion. People are starting to decide to respond and I’ve been getting money and rsvps this week. Sr. Pat is the lifeblood behind Bishop Feehan High School. Sr. Pat has worked their for 38 years and she is still as kind and caring as she was when she first started there. She truly embodies what it means to be Christ for others. I’ve seen her do it and she was a big influence on my life in High school. That leading by example carried with me throughout my life as well. 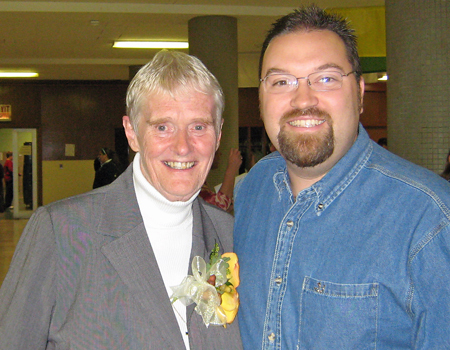 When you need someone to talk to who will listen and tell it like it is and you thank her for that, think of Sr. Pat. When you want someone in your corner pulling for you to succeed, think of Sr. Pat. When everyone else looks at you like you can’t do it, Sr. Pat is there encouraging you keep trying. I took a few photos at the Jubilee. Marybeth, Sr. Pat and Sarah.